My ring display / organizer just arrived from Amazon today :) Sorted out all my rings, and decided which ones to keep and which ones to give away. 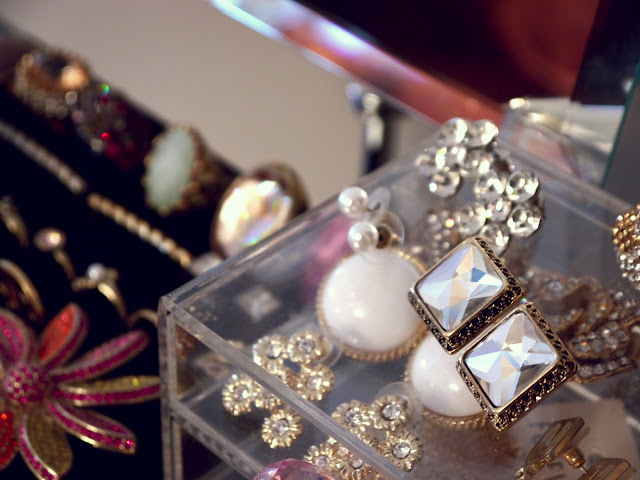 A tip for organizing your room is to only keep things you actually wear (except a few statement pieces - eg. the big flower ring lol) but all the rest is pretty much just extra weight weighing down your space. I do the same thing with my closet - if I haven't worn something in the last year, it goes straight to charity. Applying this rule to things around the apartment helps keep it clean and easy to find things. Thats gorgeous I love this! 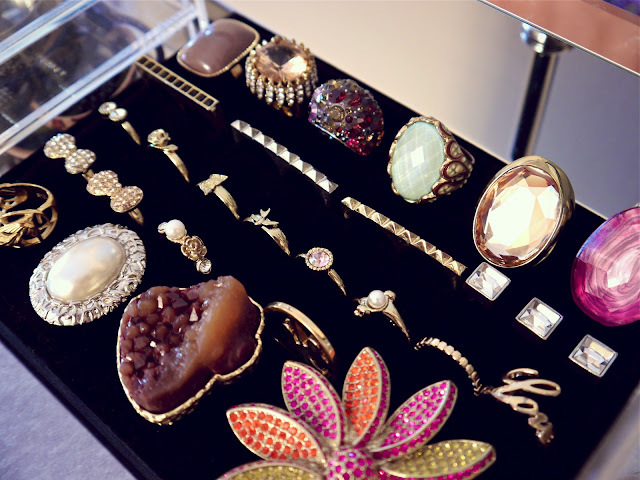 This looks like a very spacious and organized way to store jewlery! Thanks Annie again! I'm in the process of cleaning out my room to and makeup/ jewlery area! thanks!! wow! the display is really pretty! Great tip about getting rid of things. I need to do a SERIOUS purging. I know once I start it will take hours... and I'm in NYC like you so don't have a car to lug all of it away. I really love your blog and videos by the way. I've been lurking for a bit and just wanted to say how inspiring you are. ps. I have a great giveaway for a make-up product from Anastasia of Beverly Hills... stop by if you are interested in entering! Annie you're so inspirational :-) Your videos and blogposts are so motivational and helpful. I love seeing pics of your room and stuff, I think a post with a tour through your room/apartment in pics or a video would be a great idea. Would love to see the rest of your room!! I love it! but doesn't your jewelry rust when you put them out like that? 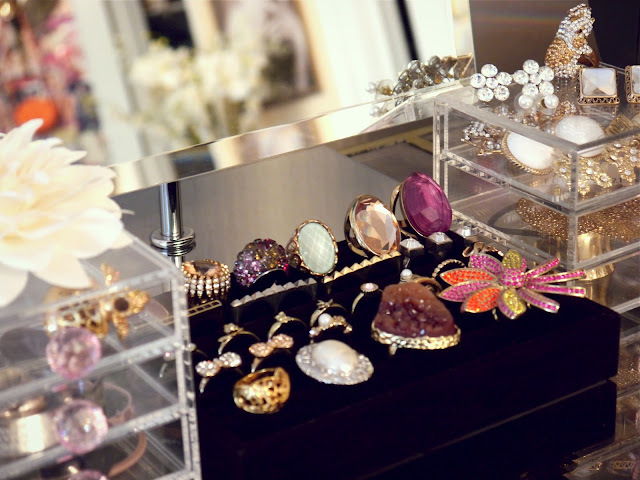 Annie i loved your earring holder please give a link of it i looked at amazon but couldnt find it:( i loved the pink buttons please give us links:) and you are amazing! 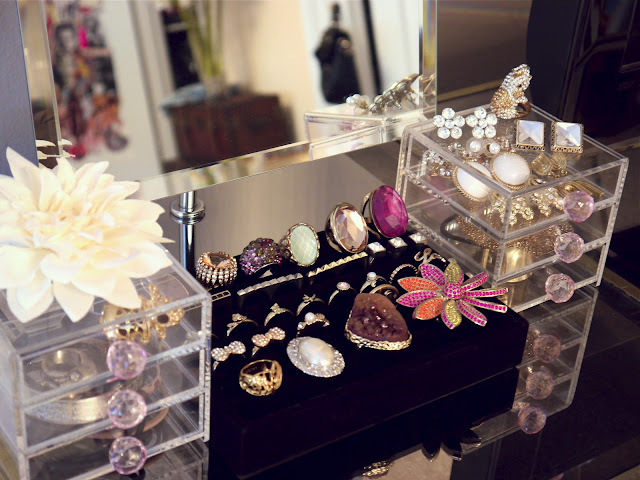 Your display looks so pretty! I really like it :) I think I need to get something like this! Have a great time in LA!